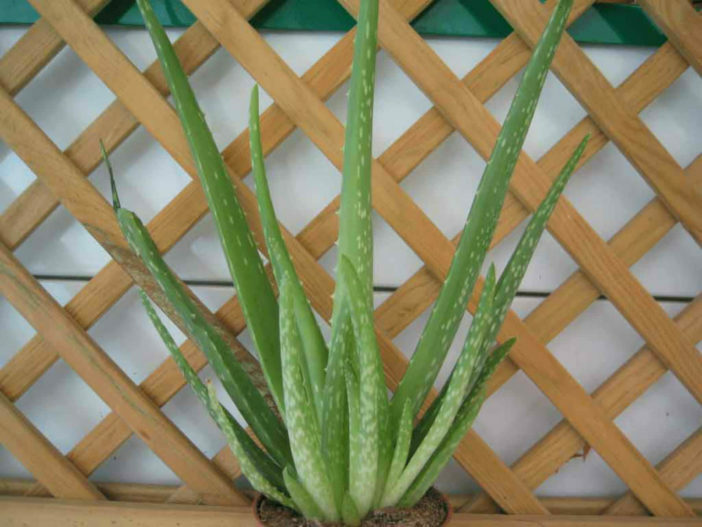 Aloe vera is a stemless or very short-stemmed succulent plant up to 40 inches (1 m) tall. It spreads by creating pups or offsets. The leaves are thick and fleshy, green to grey-green, with some varieties showing white flecks on the upper and lower stem surfaces. The margin of the leaf is serrated and has small, white teeth. 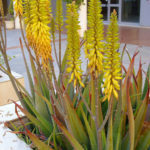 The flowers are produced in summer on a spike up to 3 feet (90 cm) tall. 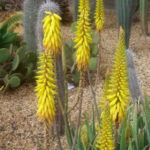 Each flower is pendulous, with a yellow, tubular corolla up to 1.2 inches (3 cm) long. 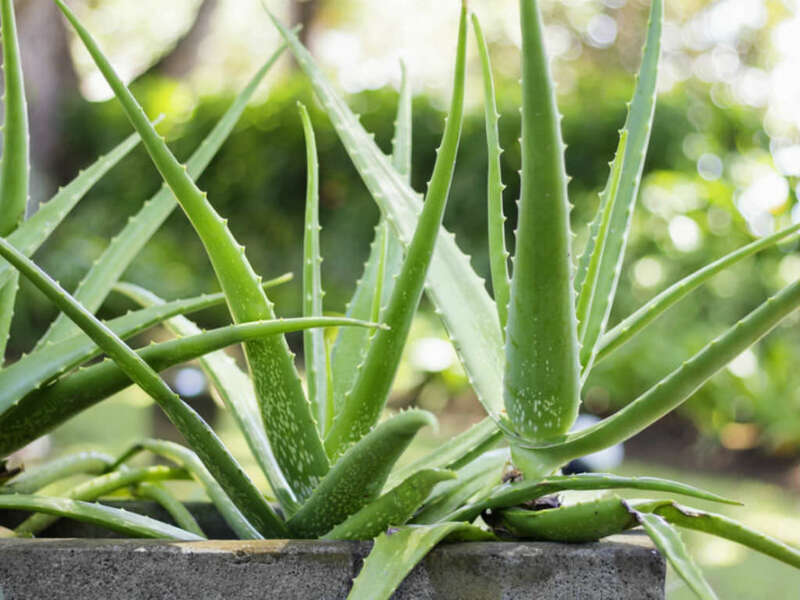 The first step in Aloe Vera care is to realize that this plant is a succulent. 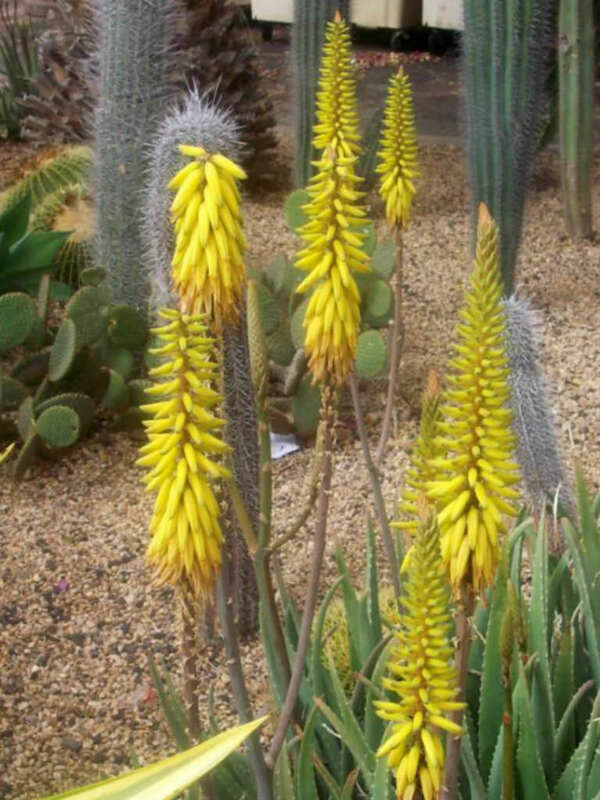 Like cacti, succulents do best in dry conditions. 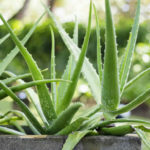 When growing Aloe Vera plants, plant them in a cactus potting soil mix or a regular potting soil that has been amended with additional perlite or building sand. Also, make sure that the pot has plenty of drainage holes. It cannot tolerate standing water. 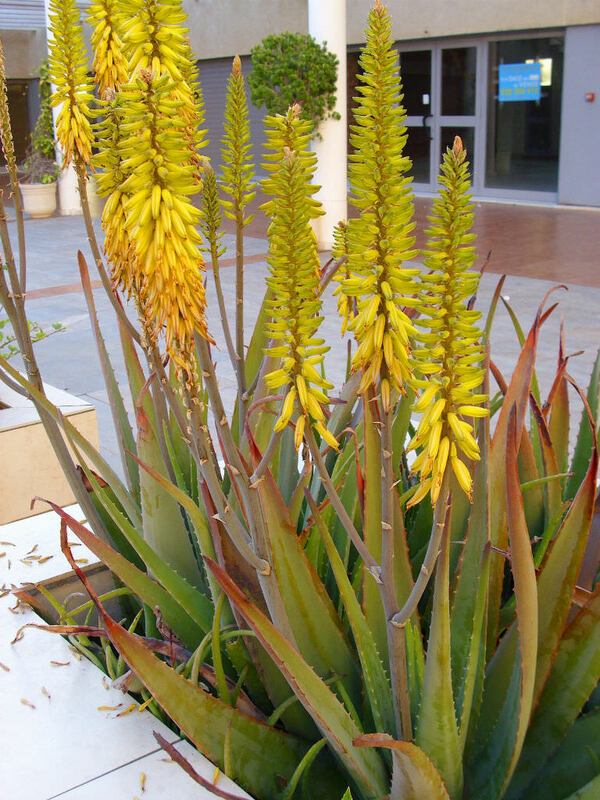 Aloe vera is native to the arid regions of north-eastern and southern parts of Africa and Madagascar.